Finally! We have found this ideal pressure-cleaning solution. Dirt and stubborn stains are easy to remove! 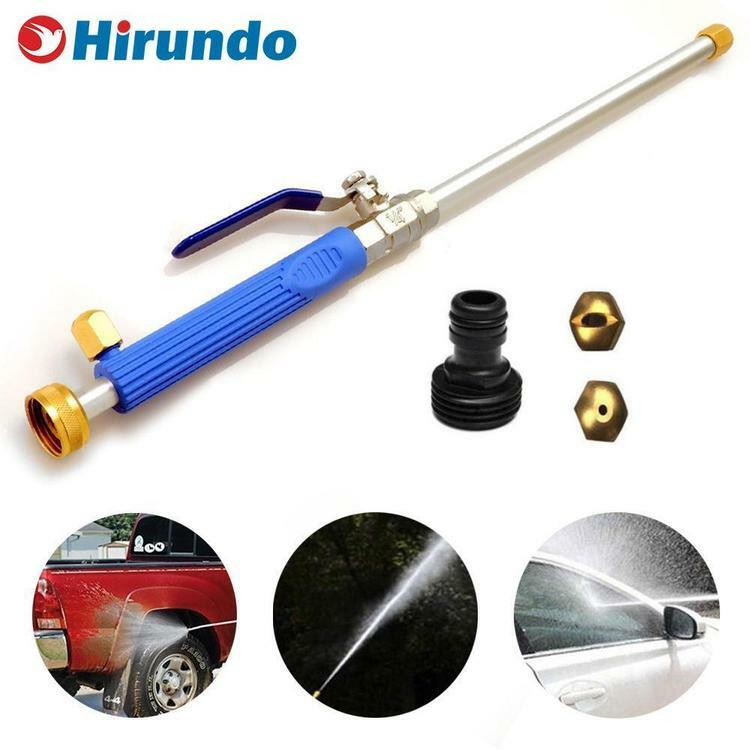 You will find our Hirundo High Pressure Power Washer so great! Transforms a garden hose into a pressure washer. Great for cleaning decks, driveways, patios, cars, and other outdoor stains. HIGH PRESSURE WASH - Transform your regular garden hose into a powerful jet pressure stream. Perfect for washing dirty sidewalks, car washes, dirty wood fences, brick walls and more! FITS STANDARD HOSES - Fits all ѕ” standard garden hoses or car wash, and other sizes with standard 1” female hose connectors. HIGH QUALITY BRASS - Designed with rust-proof and corrosion-resistant materials. Industrial-strength Brass connectors and high quality aluminum alloy washer wand. MANY USES - Remove dirt and loam from wood, aluminum, glass and concrete foundations.And Wash your car, truck, RV, boat, dirty tires and rims easily. HOSE ADAPTER INCLUDED - Female threaded standard garden hose to Ѕ” quick connect hose coupler with “O” ring Adapter included. Use with powered pressure washer Ѕ” hose with female quick connect coupling.